MINNEAPOLIS (April 10, 2018) - Premier Boxing Champions kicks off the 2018 season on FS1 and FOX Deportes on Friday, April 13 with five action-packed bouts on a three-hour televised show from the Armory in Minneapolis, featuring welterweight contender Jamal James battling Abel Ramos in a 10-round main event in front of his hometown crowd. In the co-main event, rugged veteran Edner Cherry clashes with rising lightweight Dennis Galarza in a 10-round bout and unbeaten super featherweights Austin Dulay and Chris Colbert square off in an eight-round match. 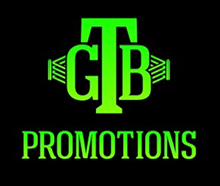 Plus, exciting 6-foot-6 super welterweight Sebastian "Towering Inferno'' Fundora (8-0, 4 KOs) will take on Veshawn Owens (9-0, 9 KOs) in an eight-round match of unbeaten prospects. Sensational 18-year-old, 154-pound prospect Joey Spencer (1-0, 1 KO), a former No. 1 ranked amateur and nine-time national champion, battles Ousmane Sylla (1-2, 1 KOs) in a four round match. The televised action starts at 9 p.m. ET/6 p.m. PT. The event marks the return of boxing to the Minneapolis Armory, a historic venue that hosted nearly 100 cards between 1915 and 1973, including a show headlined by all-time great Sugar Ray Robinson in 1942. "This show is the perfect example of what Premier Boxing Champions on FS1 and FOX Deportes is all about - boxers at various stages of their career, each with something to prove in all action matches,'' said Tim Smith, Vice President of Communications for Haymon Boxing. "The stakes are raised for Jamal James because he's fighting in front of his hometown crowd and yo get in title the mix at 147 pounds and Abel Ramos wants to spoil all of that. James (22-1, 10 KOs) is coming off the biggest victory of his career - a knockout over tough veteran Diego Chaves on Dec. 15. The 29-year-old James joined unified 147-pound champion Keith Thurman as the only boxer to have knocked out the durable Argentine. It was James second straight victory since suffering the only loss of his career - a unanimous decision defeat to Yordenis Ugas on Aug. 12, 2016. James hasn't fought in his hometown of Minneapolis since he scored a unanimous decision over Mohammed Kayongo in 2013. Galarza (16-2, 9 KOs), an outstanding amateur boxer, is stepping up in competition with this matchup against the more experienced Cherry. The 25-year-old Galarza, who's from Brooklyn but trains in Orlando, has won three straight fights since losing a split decision to Cesar Alan Valenzuela on Sept. 16, 2016. Dulay (11-0, 8 KOs) was busy last year, fighting four times with only one fight going the distance. The 22-year-old southpaw from Nashville, Tennessee most recently scored a TKO victory over Carlos Padilla last August.